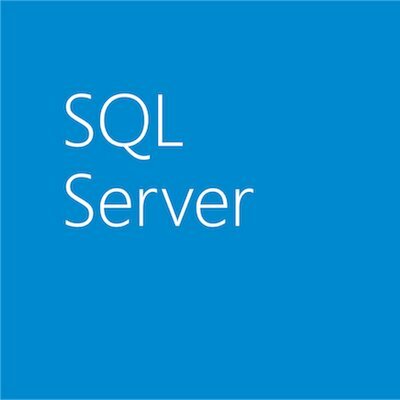 This post was authored by Riccardo Muti, Senior Program Manager, SQL Server Reporting Services. Why should you upgrade your reporting platform? You might think of it as a cost of doing business considering your operational processes that depend on it, but recent research suggests that it can be a strategic investment as well. Forrester Research recently noted that “Companies with richer, more accurate information about their customers and products than their competitors will gain substantial competitive advantage” (Forrester Research, The Forrester Wave™: Enterprise Business Intelligence Platforms, Q1 2015). Indeed, a modern reporting platform is critical to delivering valuable information to the right people in the right format. Today’s leading organizations have realized the return on this investment and are continuing to invest to stay ahead: the fastest-growing companies (those growing faster than 15% year-over-year) planned to invest 38% more of their IT budgets in business analytics and reporting than did their slower-growing competitors. Historically, organizations needed to produce reports in the traditional form of paginated documents, ideal for exporting to Word or PDF or for printing. They needed to produce “fixed” layout documents that always looked “exactly so,” even though people may have been using different computers and screen resolutions to view them. Organizations still face these needs, but with many enterprise reporting platforms developed years ago, designing modern-looking reports can be a challenging and tedious task. Meanwhile, technological shifts have influenced the way we work and organizations’ reporting requirements have grown more varied and challenging. Business users are doing more and more on their mobile devices and need to view reports on smartphones and tablets while they’re away from their desks. Solutions originally designed for PCs, however, often deliver a suboptimal experience. If you’ve ever tried to view a report layout designed for a landscape-orientation PC screen or for an 8.5″ x 11″ document on a smartphone, you’ve probably found the experience cumbersome. Since its introduction 12 years ago, SQL Server Reporting Services has emerged as a market leader and key component of Microsoft’s business intelligence platform – the most-adopted enterprise BI platform, based on a 2014 survey (Forrester Research, 2015). Countless organizations run their operations on Reporting Services and rely on it to deliver information critical to their success. SQL Server 2016 overhauls Reporting Services to provide a modern, on-premises solution for deploying and managing reports within your organization. You can continue to create traditional, paginated reports (what you’ve always thought of as Reporting Services reports), plus you can now create mobile reports that are optimized for smartphones and tablets. To top it all off, you have a modern web portal where you can view all your reports in one place. 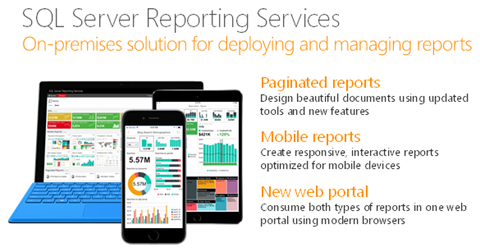 SQL Server 2016 Reporting Services modernizes and enhances paginated reports in several ways. As a report designer, you’ll find modern styles for charts, gauges, maps and other data visualizations, enabling you to create beautifully modern reports more quickly and easily than ever. In addition to the pre-existing chart types, you’ll find two new ones – Treemaps and Sunburst charts, which are ideal for visualizing hierarchical information. And as you design parameterized reports, you now have direct control of the position of each parameter so you can arrange them the way you like, including across several columns to make the best use of wider screens. To design reports, you’ll find modern versions of familiar tools. For example, Report Builder now sports a modern look-and-feel. And if you’re a developer who prefers designing reports in Visual Studio, you can now do so in Visual Studio 2015, where you can take advantage of Visual Studio projects, source control and more. When developing report logic or custom extensions to the platform, you can now write or integrate with code using the .NET Framework 4.6. When it comes to development environments, Forrester ranked Microsoft’s BI platform the strongest, with a 5.00 rating on a five-point scale (Forrester Research, 2015). You’ll find a number of new features when viewing reports as well. In addition to exporting reports to Word, Excel, PDF and other formats, you can also export them to PowerPoint presentations. Report items become individual PowerPoint objects, so you can move and resize them to customize your presentation. Likewise, in addition to monitoring important metrics and trends by delivering reports to your email inbox, you can now pin report charts, gauges and maps to your Power BI dashboards. SQL Server 2016 Reporting Services introduces mobile reports to address the need for responsive-layout reports that adapt to different screen shapes, sizes and orientations. Mobile reports dynamically adjust the content depending on whether you’re using a phone, tablet or PC, and even as you rotate your device. Mobile reports are built on Datazen technology that Microsoft acquired in 2015 and on the idea that a “mobile-first” approach, designed from the outset for mobile devices, delivers the optimal experience for viewing reports on phones and tablets. 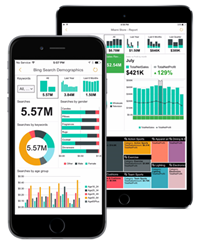 You can create mobile reports using the SQL Server Mobile Report Publisher app and view them using either the Power BI mobile app or your browser. 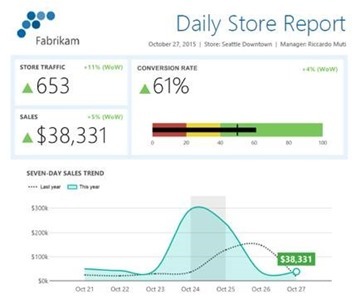 (A preview is available today in Power BI for iPhone and iPad, and coming soon to Power BI for Windows and Android). Paginated reports and mobile reports are complementary; you can choose the type of report that best fits your needs on a case-by-case basis. When you need to generate and deliver a precisely-formatted document, you’ll want a paginated report; when optimizing for phones and tablets, you’ll want a mobile report. We’ll take a closer look at mobile BI in SQL Server 2016 Reporting Services in an upcoming post. With SQL Server 2016 Reporting Services also comes a modern web portal where you can view and manage all your reports – both paginated and mobile, in one place. Built from the ground up on HTML5 technology and designed for modern browsers, it works great across Edge, Internet Explorer 10 and later, Chrome, Firefox and Safari. You can now favorite the KPIs and reports that matter most to you and see them in one personalized view without the clutter. As an organization, you can even customize the web portal with your logo and color scheme. Reporting Services features prominently in Microsoft’s reporting roadmap as the on-premises solution for delivering reports to users. SQL Server 2016 advances that roadmap with the overhaul of Reporting Services into a modern reporting platform and the addition of mobile BI. 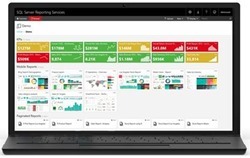 Looking beyond SQL Server 2016, you’ll be able to publish Power BI Desktop reports to Reporting Services as well, providing an on-premises solution for self-service BI. Download SQL Server 2016 RC and try the new Reporting Services today. It works with current and previous versions of SQL Server Database Engine, so whether or not you’re upgrading your databases, you can upgrade to a modern reporting platform. To learn more, read the Reporting Services team blog, join the conversation on Twitter: @SQLServerBI (#SSRS) or check out the video below.